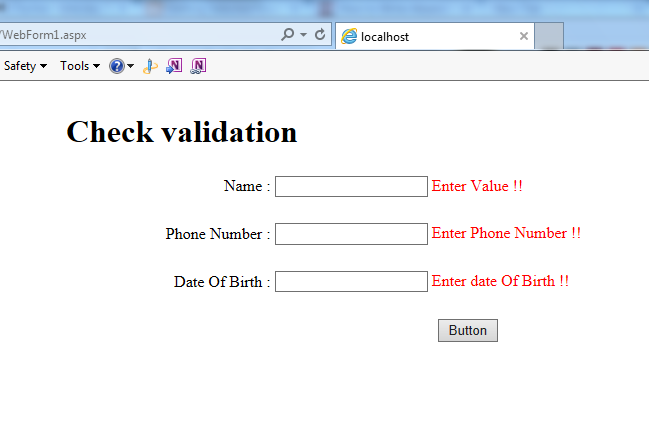 Required Field Validation – It Checks, does the control have any value. It’s used when you want the control should not be empty. 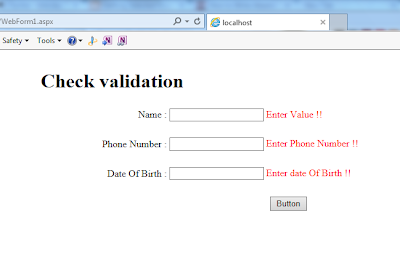 It ensures that the user does not skip a mandatory entry field.